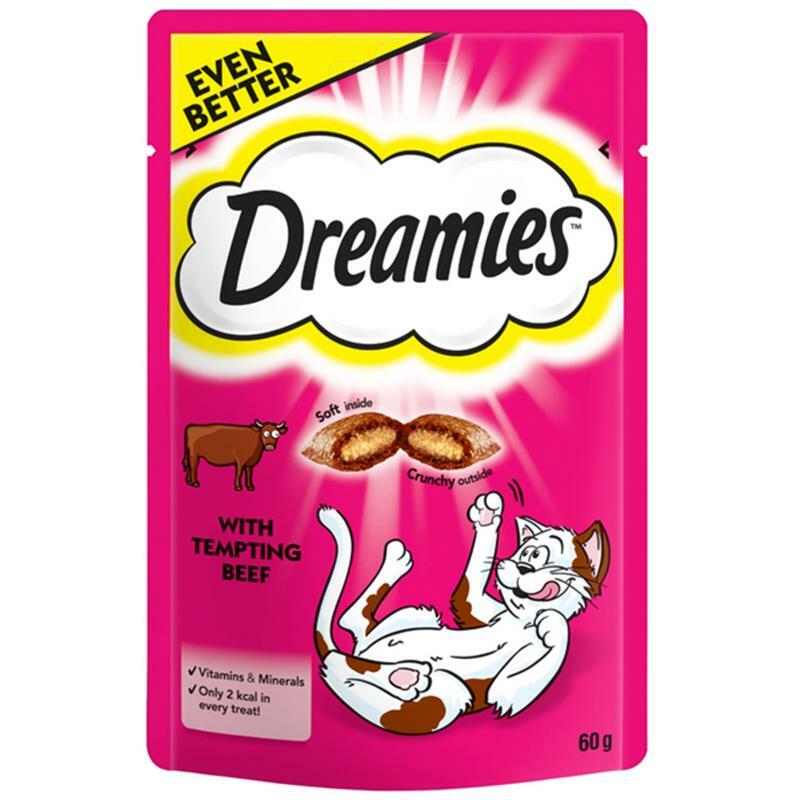 Dreamies With Tempting Beef Cat Treats - 60g. Dreamies with tempting beef is the treat cats crave. Crunchy on the outside and filled with a delicious soft centre which cats find irresistible.